Summer is here and our beautiful Sunshine state will be getting sunnier and hotter. And as expected, the AC units in your homes and offices will be pushed to work overtime to ensure a certain level of comfort. 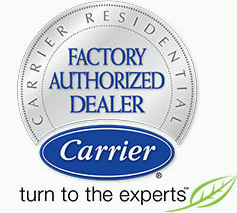 We believe that your air conditioner should always provide you with cleaner, colder, more comfortable air. However, just like most technologies, it is likely to have issues every now and then. Available 24/7, Palm Air will be here to ensure your comfort is not compromised. Here are ways we can help you ensure that does not happen. An AC unit is only as good as the maintenance service it receives and needs to be serviced to avoid those unexpected breakdowns especially in the summertime. To operate at its optimal level, an expert technician needs to do the job and that’s where we come in. 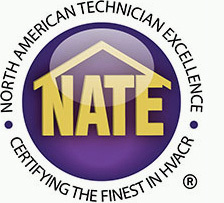 Our NATE certified professionals aim to save you money, time and improve your indoor air quality through services such as clean indoor evaporator coil, inspect for refrigerant leaks, clean condensing unit etc. See full list of maintenance services here. Air duct cleaning is the removal of dust, pollen, odours and other harmful contaminants within the ductwork. The air ducts circulate the air that completely fills your living space, and as such, it should be as clean as possible to eliminate health threats to you and your family. Palm Air offers free estimates for air duct cleaning services. Call us so that we can help you breathe a lot freer this summer. Imagine going through the hot summer days without a fully functional AC unit. What a nightmare! At Palm Air, we offer our superhero emergency AC repair services 24 hours. We are here for your unexpected repair needs, the best service at a great price. Our repair services are not only for emergencies, you can schedule your appointment today before your small issues become bigger problems. Changing your air filters often can, not only let you breathe cleaner air, but also helps you to save in on some money. The AC unit has to work harder if it has to blow through a dirty filter, which affects your electricity bill negatively. Join the Palm Air Filter Club today where you never have to worry about forgetting to change your filter. We deliver high quality filters suited to your specific AC unit type each month of the year. We want to make your summer as cool as cucumber so call us today at (561) 922-3199 to schedule your appointment.